Term 2. Business feature on fashion sustainability in 2018, why 2018 is the year of sustainability. Intended for Drapers. Sustainability and fashion in 2018, why now? As 2018 unfolds all trend data places sustainability at the core of innovation in the fashion industry. As technology and consumer ideals and beliefs march on apace the sustainable fashion industry has reached a critical crossroads. It is an unfortunate well-known fact that the textile and fashion industry is the world’s second-largest polluter behind oil. Though fashion and sustainably don’t naturally work hand in hand, current innovation is gearing towards, and already changing, this notion. The industry has a clear opportunity to smarten up its act and it is easier than ever before. Environmental, social, and ethical issues have never been more imperative and therefore need to top the fashion industry’s agenda. Global management consulting firm BCG reports that if the fashion industry continues its current course of slow improvement, costs and regulations for materials and production will significantly increase. Affecting fashion brands directly whose “profitability levels are at risk of at least a 3-percentage-point drop” if the issue isn’t acted upon fast. Luxury brands have recently touted their position on their use of fur. Turning the heads of competing retailers, Gucci, Jimmy Choo and Michael Kors’ have committed to going fur free. “Due to technological advances in fabrications, we now have to the ability to create a luxe aesthetic using non-animal fur” Michael Kors said in a statement. This recent focus on sustainability and a cruelty-free ethos taps into current lifestyle shifts and the term ‘vegan’ is cropping up again and again in retail searches. Though the challenge ahead is obviously pressing, retailers and companies who turn a blind eye to the issue will end up getting left behind. But what is crystal clear - millennials are leading the charge. sustainable brand ideals is becoming an increasingly crucial element of creating that leverage from brand to people. Research for Mintel’s Clothing Retailing – UK, October 2017 Report shows that, 70% of younger millennials, of the 16-24 age range, believe that fashion retailers should be more sustainable with young female consumers making up the lion’s share of this statement at 76%. Mounting evidence proves willingness and dedication from consumers and brands need to align. In global measurement and data analytics company Nielsen’s 2015 published Global Corporate Sustainability report, 77% of surveyed millennial consumers are prepared to spend more on a product if it comes from a sustainable brand. The success of sustainable collections from retail giants such as H&M, Mango, Zara and ASOS, are to also thank for delivering sustainability to the mass-market, reaching wider audiences and raising consumer awareness. By utilising social media to promote these issues demonstrates they are working alongside consumers, therefore contributing to the long-term drive towards an authentic and transparent value network. Technology is revolutionising how fashion is viewed, valued and consumed. Farsighted fashion brands are exploring and implementing technological advances in fashion to work towards a sustainable value and supply chain. Development of new fabrications is currently a ‘hot potato’ in the industry. H&M has been at the fore of conscious fashion amongst large high-street retailers and brand leaders. Towards the end of last year they launched their ‘on-trend’ athleisure conscious collection titled ‘In it for the long run’, made from recycled polyester. A number of start-ups and established businesses are breaking new ground with new and pioneering production methods with technological advances at the core. From lab grown leather to synthetic spider silk, these are the developments shaping the future of fashion. London based fashion technology company Unmade specialise in customisable products, coined by them as ‘curated customisation’ they enable customers to personalise products and implant their own stamp. 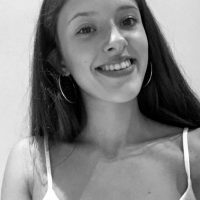 Co-Founder of Unmade, Kirsty Emery states “We are working towards tackling mass-consumption in the fashion industry, a key long-term goal for us is to transform the retail supply chain to an on- demand supply chain model.” Brands who have worked with the team include Opening Ceremony and Farfetch. Stake-holder initiatives such as Fashion for Good and The Global Fashion Agenda’s Circular Fashion System Commitment work as a guidance tool to brands. The Global Fashion Agenda secured 64 signatories from fashion companies and corporations, signing the 2020 Circular Fashion System Commitment – ‘a commitment to accelerate the transition to a circular fashion system’. Representing a total of 142 brands which contributes 7.5% of the global fashion market. 2018 has all the correct tools in place for this to become a pivotal and watershed year for sustainability in the fashion industry. It requires commitment and implementing new and existing tools to progress towards a more circular fashion economy. The opportunity for ethical input is both urgent and essential, previously quoted, sustainable fashion brand owner, Mara Hoffman shares “there are pretty obvious holes in the market for sustainably made affordable fashion and for sustainable fashion in expanded size runs”. The landscape for change is on the horizon however it summons a collective effort.